We’re proud to offer some of the best and latest skin care treatments on the market. Lasers are the reason many of our newer treatments are less painful and invasive, yet more effective, than they’ve ever been before. In keeping with our commitment to providing the best care, we’ve developed a rich collection of specialized lasers. Each one can help you in special ways. You can get the facts about them below, and we would be happy to help you if you have any other questions. You can learn everything you need to know during a no-pressure consultation on your issues. 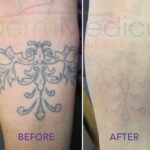 Our Alexandrite Laser has allowed us to treat tattoos more effectively than ever before. By rapidly heating the ink just as the surface of the skin, we can break down tattoos quickly in a short visit. This laser is also well-suited to deal with other kinds of skin pigmentation, such as birthmarks and brown spots. Come in today to find out if we would recommend the Alexandrite laser for your skin treatment. Results: Tattoo removal may take 4-8 treatments for black tattoos. Lighter pigmented tattoos may require fewer visits. The Erbium laser allows us to renew the skin underneath problem spots like acne scars, skin cancer and wrinkles. This machine works ingeniously by heating the water at the surface of the skin. 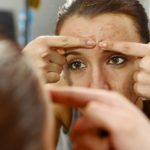 Skin cells gently dissolve and the skin beneath is kicked into a healing cycle where new collagen is generated—producing youthfully smooth skin. This is a very effective treatment for sun damage and wrinkles, as well. This new technology combines a blue light laser with a special kind of medication that actives in skill cells and makes them easier to remove. The medicine is applied to the skin in one appointment, and once it sets, a short appointment with our PDT machine follows a few hours later. The light used by the machine activates the medication, which damages the selected skin so that new skin can be produced. This is a highly-effective treatment for skin cancer, as well as acne and brown spots. Results: Usually no more than 2-3 sessions results in softer and smoother skin. 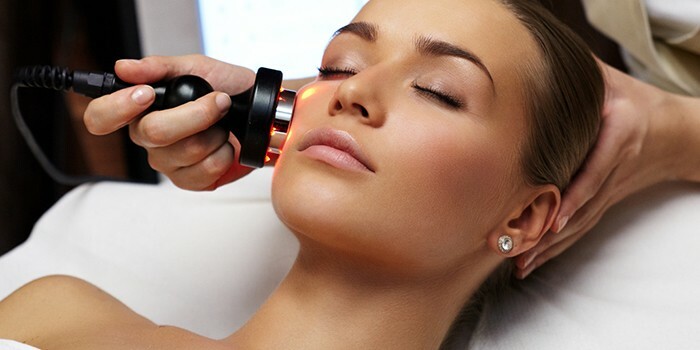 This laser can be used all over the body, and we use it to treat many different skin conditions. Because the laser is so effective as reducing color and hiding dilated blood vessels, we use it to treat conditions as varied as Rosacea, Acne, Sun Spots, facial flushing, and visible veins. This laser works, by delivering its power in short, controlled bursts, targeting and gently damaging red blood cells so that the body can renew them. Recovery Time: Minor discomfort for several days, though light bruising is possible with the most difficult conditions, like port wine stains. Results: It’s not unusual for the problem to be treated in only one visit, but some conditions may need to be revisited several times a year to maintain results. If you have a troubling skin condition, we likely have a laser to help you. New ones are added annually as technology and new innovations permit. All of your treatments will be supervised by Dr. Crippen, an experienced medical professional who has devoted his practice to skin care. Our staff is certified to operate every device we use, so you can rest assured that your treatment will be done properly and safely.